A wonderful surprise to straightening your teeth with Invisalign clear aligners is discovering the health benefits that come with a confident smile. Having your teeth in proper alignment not only fixes gaps and crooked teeth, it also promotes good dental health. Invisalign can give you the smile you’ve always wanted. 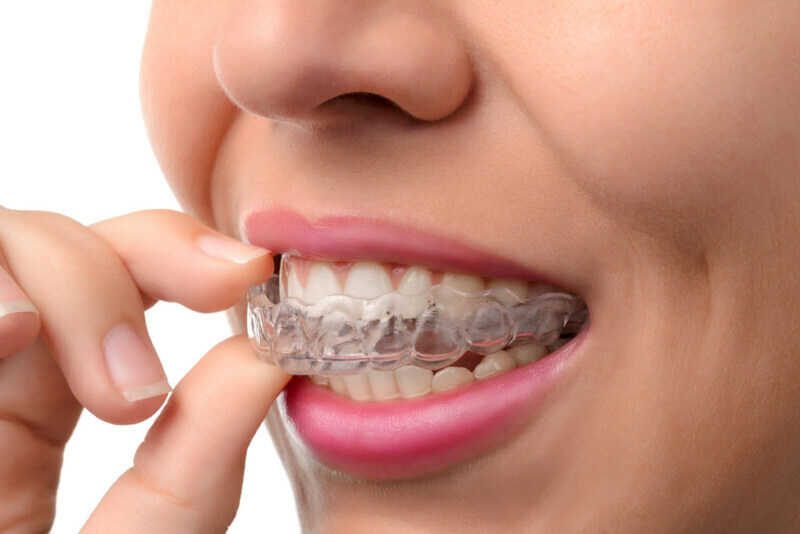 Unlike traditional wire braces and brackets, Invisalign uses clear aligners that fit snugly over your teeth. They’re engineered to slowly shift your teeth into proper position. You wear the aligners 23 hours every day, taking them out during meals and when you brush and floss. Every week or two, you switch to a different aligner. For most people, the process lasts eight months to a year. Invisalign health benefits make everyone smile. Your smile is one of the first things people notice about you. Feeling good about your smile can improve your confidence and your self-esteem. Just as important, however, are the health benefits you’ll enjoy by correcting your bite and aligning your teeth. Fight gum disease and tooth decay. Gum disease is the No. 1 reason people lose their natural teeth. Unfortunately, its negative health effects may extend far beyond your teeth and gums. Bacteria in your mouth are absorbed by the body. Research shows that gum disease is associated with other diseases such as heart disease, diabetes and stroke. If you have crowded teeth, you may be more susceptible to developing gum disease and tooth decay. It’s hard to clean crowded teeth. As a result, it’s easy for bacteria to thrive in plaque and tartar. By using Invisalign to straighten your teeth into proper alignment, you’ll brush and floss more effectively. Keeping your teeth clean and your gums healthy help prevent tooth decay and gum disease. Invisalign encourages you to brush and floss more often. A lot of my patients who use Invisalign tell me they’re brushing their teeth more than ever. That’s because when they take out the aligners to eat or drink, they’re brushing and flossing before they put them back in. You don’t want to trap any food or bacteria in the aligners. Invisalign helps prevent cracked and chipped teeth as well as premature wear on tooth enamel. If your teeth are not in alignment or you have an improper bite, you may be putting extra stress on some of your teeth. This can lead to cracked and chipped teeth and excess wear. When you wear the aligners, your teeth become straighter and your bite equalizes. Make a dental appointment to learn more about Invisalign health benefits. At Konikoff Dentistry, many of our office staff have used Invisalign to improve their smile. You can see firsthand how Invisalign works. If something about your smile is bothering you, our staff are happy to answer any questions you may have. We love helping our patients enjoy good health and a great smile. 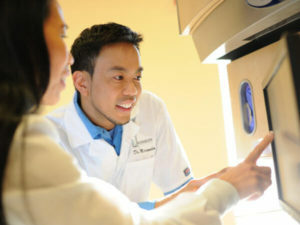 Dr. Miranda sees patients at Konikoff Dentistry’s Lynnhaven location, 2100 Lynnhaven Parkway in Virginia Beach. Request an appointment online or call (757) 416-1400.